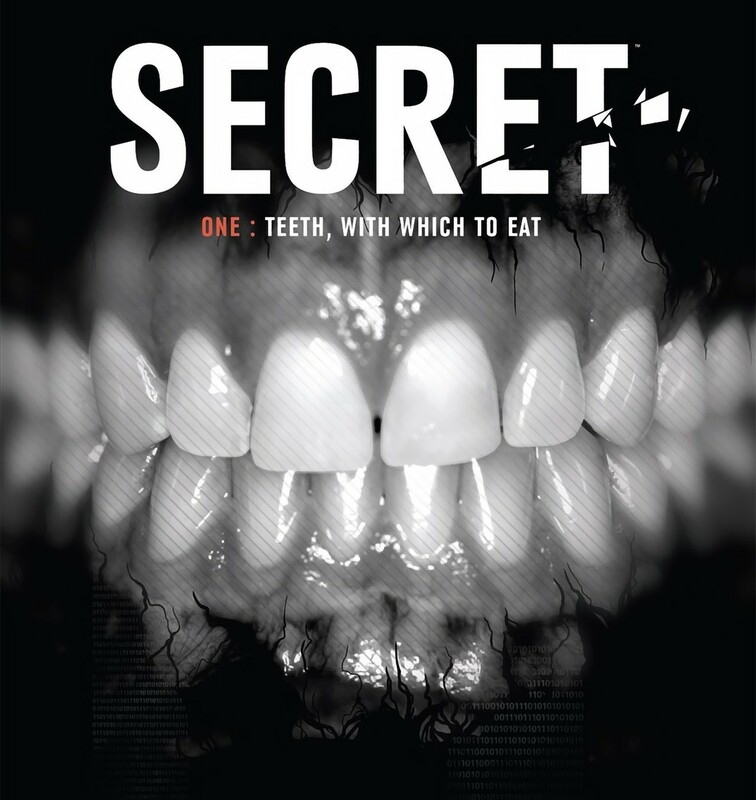 Secret – One: Teeth, With Which To Eat – written by Jonathan Hickman, (who I can only assume is the love-child of Paddy Chayefsky and Jim Thompson) is the latest in a long string of incredibly surprising and engaging books published by Image. That love-child parenthetical aside from above– well that’s only half jest, because while reading Secret I really did find the dialog and plotting to be very Chayefskian and the characters to be hopelessly Thompsian – but rest assured, this is a compliment of the highest order in my mind. For a crime and espionage story to be presented and told so well in a comic book is a bit of a revelation for me. 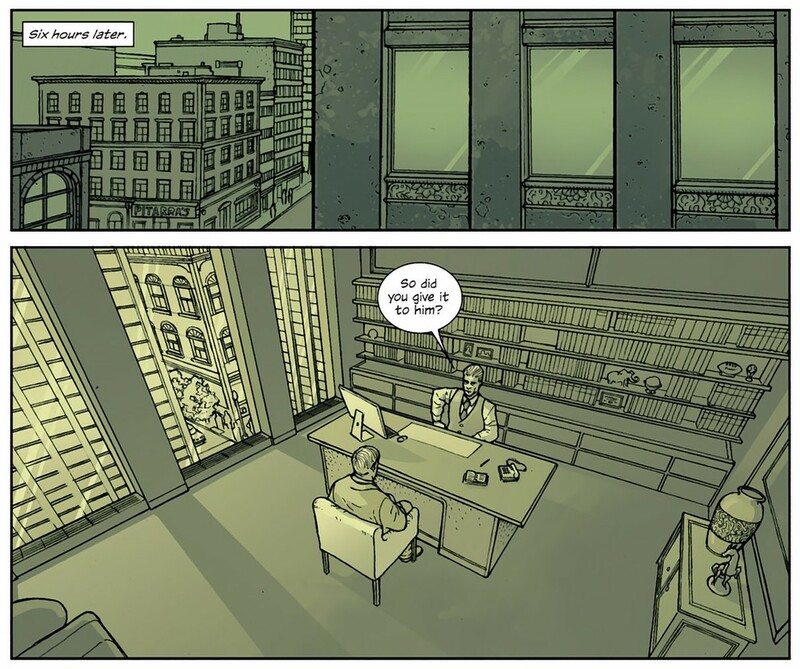 The giant in the genre, Brubaker, is great… but all too often I feel oppressed by his strict, almost fetishistic, adherence to classical noir (and therein its myriad of tropes), whereas Secret feels stirringly relevant. Perhaps it’s the corporate espionage and technology angles in the story, but more to the point, I think it’s the pace, the tenor of the tale that warms me up like Brubaker mostly doesn’t. It still seems to be a precise and fully realized story of damned souls working their ways through a crooked and dying world of avarice and compulsion, yet Secret is more firmly rooted in contemporary milieus than Brubaker’s signature nostalgia for the bygone eras, which tends to inform his (Brubaker’s) story structures a bit too much for my taste – however, Hickman’s pacing is more energetic, even though this book is comprised of mostly long expositional conversations I still found myself rapt with attention because the dialog was so captivating and the speech patterns worked to keep the plot flowing at a brisk pace. This is a very well written tale we are presented with; Hickman has impressed me greatly with the care he’s given to the plotting and the dialog. In one issue he’s presented me with firm grasps of each personality roaming through the book and the incentive to invest in their forthcoming arcs – but he has also framed an intriguing mystery and clearly situated us for many surprises and much conspiracy in the coming months. Sure, these are standard archetypes we’re dealing with here – but all characters are; it’s the grace with which you make them speak and breathe that matters, and Hickman has imbued these folks with naturalistic dialog straight out of a novel and motivations as obscured and abstract as reality. This may put some readers off; the medium isn’t exactly a direct conduit for readers of standard literature. I however, find this verbose (yet not hyperbolic) dialog-heavy exposition to be a welcome change from the sparse word balloons and gratuitous splash pages of mediocre art from the superhero book du jour. The coloring in the book was very interesting to me as well. Some may find the almost monochromatic panels to be lazy or dull but I was totally engaged by them; considering it integral in keeping the rhythm of the different story threads. It not only helped to orientate me spatially in the narrative, but also emotionally; casting pallor over certain scenes while managing to accentuate elements that were of visceral import. The austere contrast of the palette worked well for me by differentiating the multifarious characters which Hickman has written into this world. 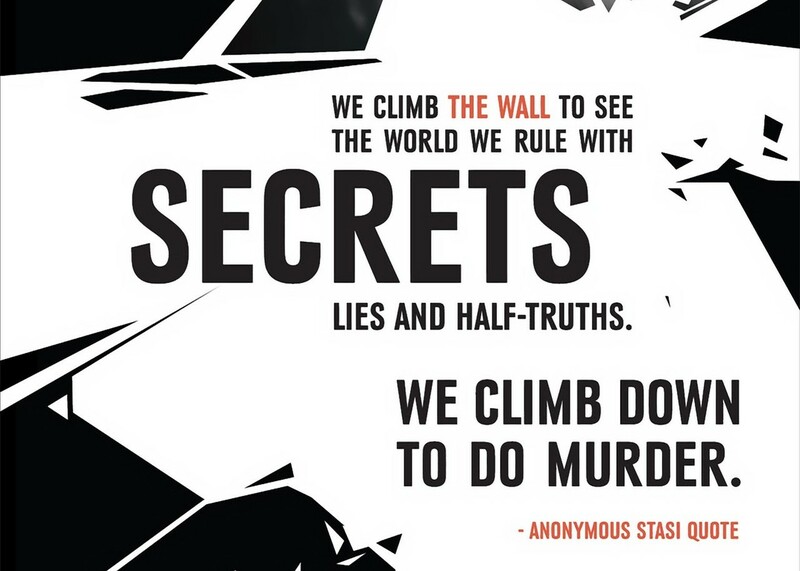 One last thing to make note of would be the ‘Anonymous Stasi Quote’: “We climb the wall to see the world we rule with secrets, lies and half-truths. We climb down to do murder.” I’m perplexed by the inclusion here because I’m not sure exactly what parallel the Stasi would play to these vehicles of contemporary corporate industrial espionage. Perhaps it is metaphor or relates to Northrop Frye’s concepts of “naïve allegory”, but since I’ve also seen another title in the shop by the same writer emblazoned with the unmistakable Schutzstaffel “SS” logo –I’m curious as to whether this is a predetermined correlation meant to inform the plot or if it is just coincidence. If it is arbitrary to the story and used simply to help flesh out the tenor of the world then it’s fine… I just find it a bit odd and it has made me want to go pick up Hickman’s “The Manhattan Projects” now.